Why Test Drive a 2018 VW Tiguan at Reeves Volkswagen of Tampa? We’re at that exciting time of year when the latest models start hitting the road, and that includes the newly redesigned 2018 VW Tiguan. Want to be among the first to experience it? Then there’s only one place to go – Reeves Volkswagen of Tampa, the #1 VW dealer around. Why the new Tiguan, and why Reeves? Let’s start by taking a look at the latest iteration of this great SUV, then we’ll discuss why Reeves Volkswagen of Tampa is the place you want to get it. The new 2018 Volkswagen Tiguan has received high praise from reviewers for its spacious, comfortable, family-friendly interior, it’s sharp style, smooth ride, expansive cargo space, and the inclusion of standard tech features like Apple CarPlay. Experts also appreciate its expanded 6-year/72,000-mile warranty, which can be transferred to subsequent owners. That means that not only is your new Tiguan better covered, but that it will hold a higher resale value. So, why test drive the new Volkswagen Tiguan at Reeves Volkswagen of Tampa? At Reeves Volkswagen of Tampa, we offer the largest VW selection in the region. Which Tiguan trim or color package do you want? We’ve got it. As part of the Reeves family of dealerships, we offer nearly half a century of experience. In other words, we’re Tampa’s unrivaled Volkswagen experts. When you need Volkswagen repairs or maintenance, you want fast, dependable service that you can count on. At Reeves VW of Tampa, that’s exactly what you’ll get. Who ever said getting behind the wheel of a new Volkswagen should break the bank? At Reeves we don’t think it should. That’s what we offer the best VW specials you’ll find anywhere in Tampa, on everything from new and used Volkswagens, to parts and service, to accessories. Bottom line – from selection to expertise, service to savings, Reeves Volkswagen of Tampa is #1. Ready to experience the all-new 2018 Volkswagen Tiguan for yourself? 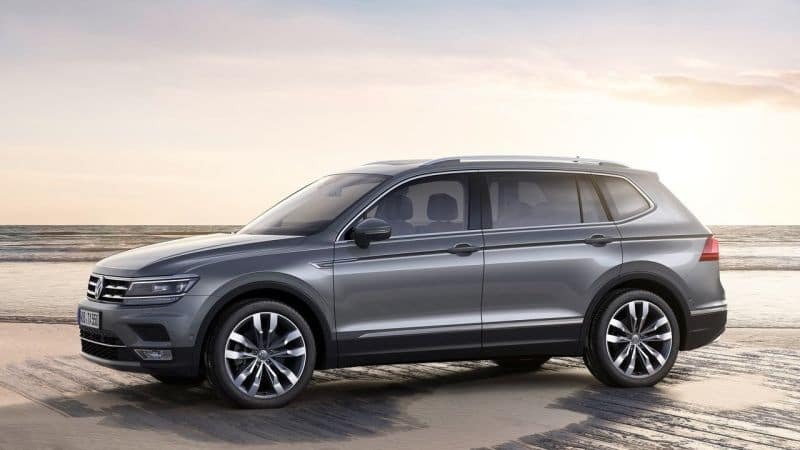 Visit Reeves Volkswagen of Tampa today, and find out why reviewers are calling this the best version of the Tiguan yet. Check out our selection of the 2018 Volkswagen Tiguan online, or call Reeves Volkswagen of Tampa at (855) 248-4512 today. 0 comment(s) so far on Why Test Drive a 2018 VW Tiguan at Reeves Volkswagen of Tampa?